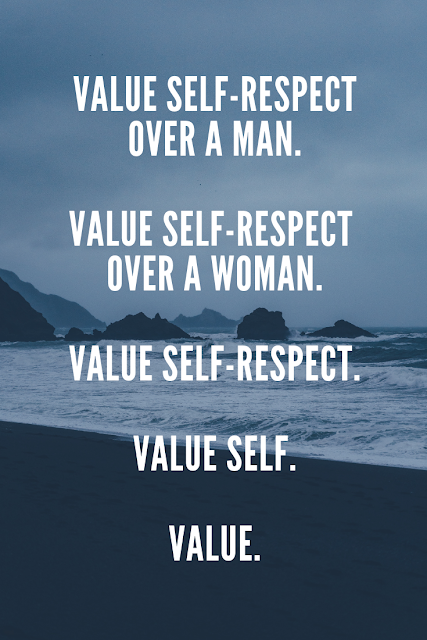 Self-respect needs to come before anything and everything. If you don't respect yourself and the moves that you make in life why should anyone else? Remember to never let anyone else get in the way of your self-respect nor convince you that its not important. Nobody is going to have your back more than yourself.